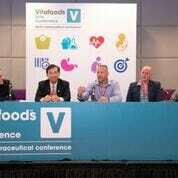 Singapore, 2 Aug 2017 – Next month, Asia’s nutraceutical, functional food and beverages, and dietary supplement industries will gather in Singapore for Vitafoods Asia, the region’s only event dedicated to these markets. The organisers reached out to exhibitors and visitors last month to get their thoughts on how the industry was doing, and some interesting insights were uncovered. Despite what crowd sentiment and ‘common sense’ say about the global economy, both exhibitors and visitors expressed positivity about the future of their companies. More than 80% of those surveyed said that they were optimistic about the sales performance and profitability of their businesses. And according to Allied Market Research[* below], the global nutraceuticals market size is expected to reach $302,306 million by 2022, with a CAGR of 7.04% from 2016 to 2022, and Asia Pacific is expected to surpass the global growth average with a CAGR of 7.33%, making noteworthy contributions to the global market. *Note: Prof. Wang will lead several discussions at the Life Stages Theatre, and speak in the Digestive Health and Microbiome Summit this year. Those surveyed unanimously concur that scientifically-proven claims, personalised nutrition, and clean label are the Top 3 trends that their companies are keeping a keen eye on. As consumers grow in sophistication and awareness of food options, they seek out products that specifically and effectively address their needs. Products with ‘unrecognisable’ ingredients are deemed less desirable, as consumers prefer to know exactly what they eat and drink. *Note: Nicholas Lauw will be speaking at the Life Stages Theatre and the Regulation and Ingredient Registration Masterclass this year. Vitafoods Asia is part of Informa Exhibitions’ Health & Nutrition division, which brings together a portfolio of events, digital media and publishing for marketers, manufacturers and formulators of nutrition and dietary supplements, healthy foods/beverages and personal care products. Informa’ events include Vitafoods Europe, Vitafoods Asia, Natural Products Expo West, SupplySide West, SupplySide East and Engredia. Informa’s media brands include New Hope Network, Natural Products Insider, Supplyside West & Vitafoods Global Storefronts, Vitafoods Insights and Nutrition Business Journal (NBJ).